Get a head start on your financial journey with this affordable bundle. 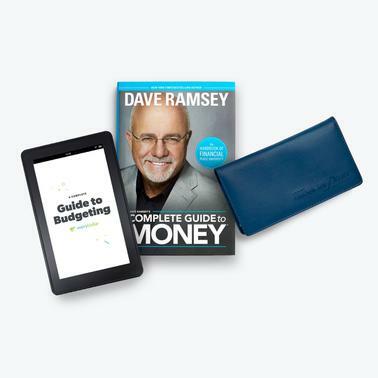 Get your money questions answered with Dave Ramsey's Complete Guide to Money, Dave's all-inclusive money resource book. The Starter Envelope System has all the tools that you need to begin Dave's proven, easy-to-use cash management system. The Guide to the Envelope System PDF eBook will teach you have to use the envelope system. And dive deep into how to set up your monthly budget with the Guide to Budgeting PDF eBook! The Starter Envelope System has all the tools you need to start winning with money! It’s Dave's proven, easy-to-use cash management system.